BMW Parts Hub only sells Genuine BMW parts and accessories. 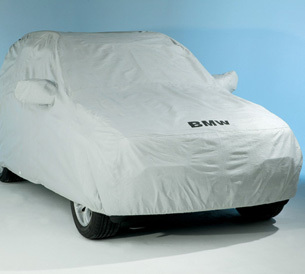 Shop our Genuine BMW car covers below. These parts are precisely manufactured and designed to match your vehicle so you’ll have the piece of mind of quality and reliability. Make the right decision with a partner that not only supplies you with the best possible fit but also ensures premium dependability. BMW Parts Hub offers the best genuine BMW parts deals, discounts and promos online. We pride ourselves on fast, easy shipping and excellent customer service from our certified BMW technicians. If you have any questions, don't hesitate to reach contact us — we are here to assist you.